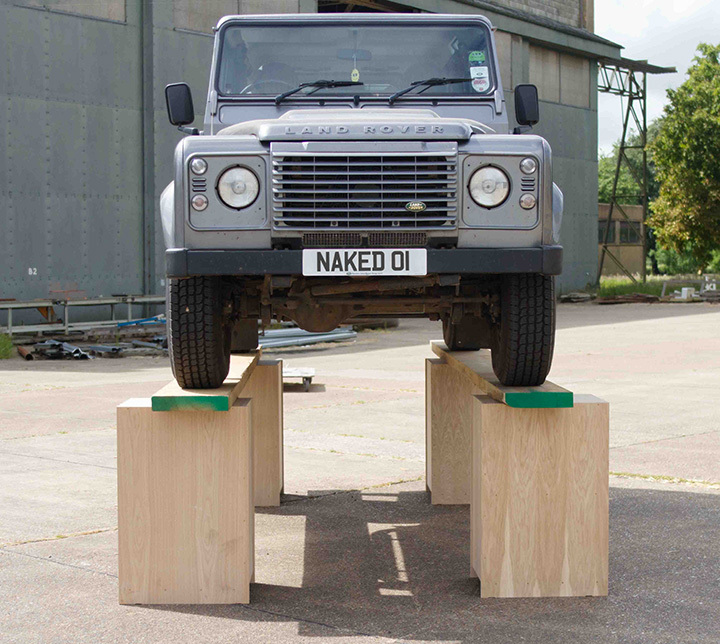 Our recent ‘strength test’ involving a Land Rover and four of our bespoke cabinets has caused quite a stir on social media over the past week! Looking through the various comments, we saw many funny remarks but also a few raised eyebrows, with some questioning the reasons why we decided to do it. Although it was a serious amount of fun to do, there was an important purpose to it all. 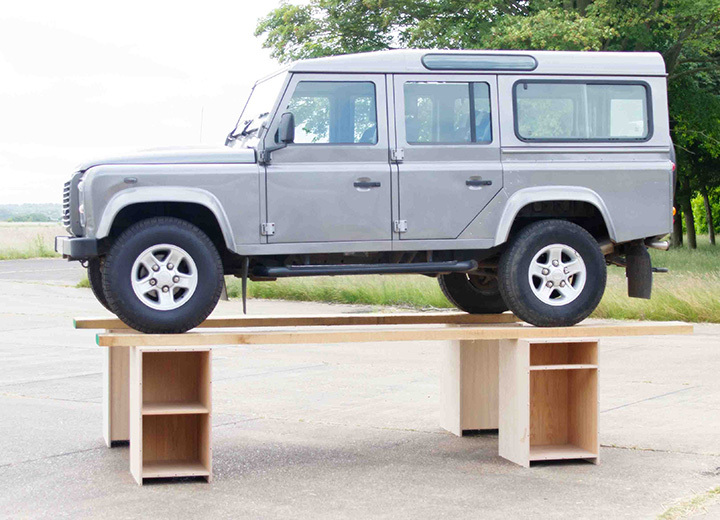 The purpose was to explain in the most interesting and entertaining way that our cabinets could withstand doing something far beyond their original intention. This is due to the construction method of our bespoke cabinets, which are designed and manufactured through the use of the most state-of-the-art CAD (Computer Aided Design) and CAM (Computer Aided Manufacturing). Our kitchens are not just simply made. They are meticulously engineered. Wanting a more in-depth understanding of how we use CAD and CAM? Read our blog on our design process. Blending the finest qualities of traditional joinery; industry-leading materials and expert craftsmanship, with the newest design and manufacturing processes has resulted in the precision-built bespoke cabinet; a cabinet cut to millimetre tolerances, a cabinet that will last a lifetime, a cabinet that makes your kitchen the heart of your home. The second purpose of the test was to show the high level of dedication and trust we have in our design and manufacturing processes. 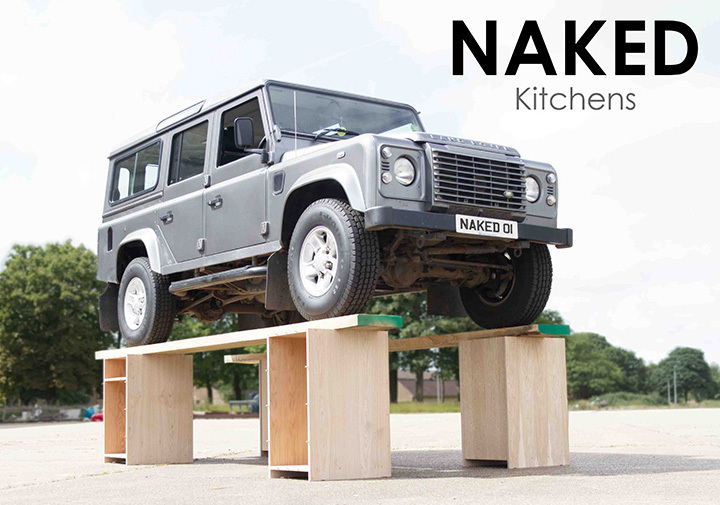 We knew our cabinets could take the weight, but the idea was to clearly portray our ‘nothing hidden’ ethos to you. This is the reason why we just used the carcass, you could then see that we weren’t being devious and using supports or fake frames. The cabinets used were simply four of our 18.7mm Birch ply assembled carcasses, exactly the same specification found in every NAKED kitchen. Although what we did went far beyond the stresses that our kitchen cabients will take on a day-to-day basis, we did it just to show just how strong they truly are. Why not give our price estimator a go and get an instant quote on your very own precisely engineered kitchen.